I have been a regular client of Emi’s for over four years. Despite her moving from her previous location, literally a thirty second walk around the corner from my flat, I now travel 45 minutes to see her despite being spoilt for choice where I live. The reason I put myself out, is quite simply because she gives the best facials and massages I have ever had. As someone who travels a lot, I think that I have experience against which to measure her ability. Apart from her facials giving me an instant and obvious benefit skin-wise, it is the relaxation benefits which I value the most. I ALWAYS feel like a different person afterwards, and her technique is one of the few things which actually improves my mood. I don’t know how, but Emi knows exactly where to apply pressure, how to adapt her treatments to your skin and when to, and when not to disturb you so you can lie there in absolute peace without constant questioning and small talk, which is very often the downside to therapists. I always fall asleep during my facials, probably because they also involve an element of treatment to other body parts as well (head, neck & feet) and because Emi has come to know my skin very well. She is adept at assessing her clients’ moods and has a lovely quality about her so that you feel you’ll always want to know her. Emi’s facials are divine, which is why I have treated some of my best friends to them as gifts. Please try them yourself to see if this testimonial is too good to be true; I assure you it is not. Thank you for finding the best version of me! Typically today, we have to choose between a hi tech/medi approach or a holistic/natural approach to our skincare and wellbeing. Well I am delighted that I have finally struck gold and found a therapist who is able to combine the absolute best of both worlds. The results speak for themselves, my skin and general wellbeing have been profoundly impacted by Emi and her healing hands. Perhaps what is more subtle are the longer lasting benefits of each visit I make to her oasis of tranquility in the leafy side streets of Muswell Hill. 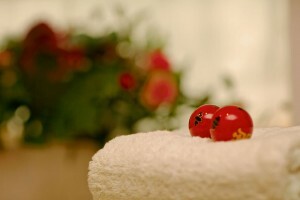 Each treatment contains a little surprise, an extra delight and a deeper sense of wellbeing and calm. I am loath to write this lest she become too popular to be able to get an appointment! Thank you for finding the best version of me. I cannot recommend this salon more highly. 10 out of 10. I have not felt the need to even try another salon as Emi is a superb practitioner in all the different treatments I have had. Extremely friendly and professional always. I cannot recommend this salon more highly. 10 out of 10. Stimulates energy flow leaving you feeling incredibly relaxed! Emi has a great awareness of the body and really understands how to promote healing within it. She has a wonderful sense of touch and excellent deep-pressure techniques and is very tuned in with the person she is working on. With each treatment, my muscles are more pliable and the knots are unraveling. Emi finds those tension spots and, somehow, gets the muscles to let go. She helps unblock emotions and stimulates energy flow leaving you feeling incredibly relaxed in both the mind and body. It is like a haven. You step into the most beautifully designed and decorated space – it oozes calm. I felt wonderful. My stress had disappeared – all my muscles had relaxed completely. My skin glowed. It is much calmer than other treatment spaces – so much careful attention to detail. Emi is amazingly thoughtful and insightful. I wish I could come every day! The only one that has really worked for me! I suffer from back stiffness and Emi’s massage technique has been fantastic for me in relieving my pain and discomfort. I have had treatments from a lot of different people but Emi is the only one that has really worked for me. Also her service is professional and courteous. I am very happy to recommend her. Therapist pays attention to your needs, takes time to follow the treatment, doesn’t rush you to get you out within 60/75 minutes so you feel pampered and looked after. Very high standard! Very relaxed from the massage, and head clear and mind balanced from the Reiki healing. It’s what you need when the pain is making you feel sorry for yourself! I’ve always found Bowen greatly improves my back, but sessions with Emi gave me something extra. Excellent customer service and really relaxing and caring atmosphere. It’s what you need when the pain is making you feel a bit sorry for yourself. I feel so relaxed, toned and energised! Great massage, I feel so relaxed, toned and energised. Convenient location as it is on the same building where I work. Friendly, informative and professional service, too. My massage and facial were well-performed and relaxing, but I was particularly impressed by the manicure and pedicure – one of the best that I’ve had. The hands of my therapist Emi Hojo were buttery yet firm, and I barely remember anything after the heavenly massage except that I emerged with soft satiny fingers, and toes perfectly topped with polish.